“Golden hands of a young prodigy” – Marie-Aude Roux, Le Monde, Paris/France. 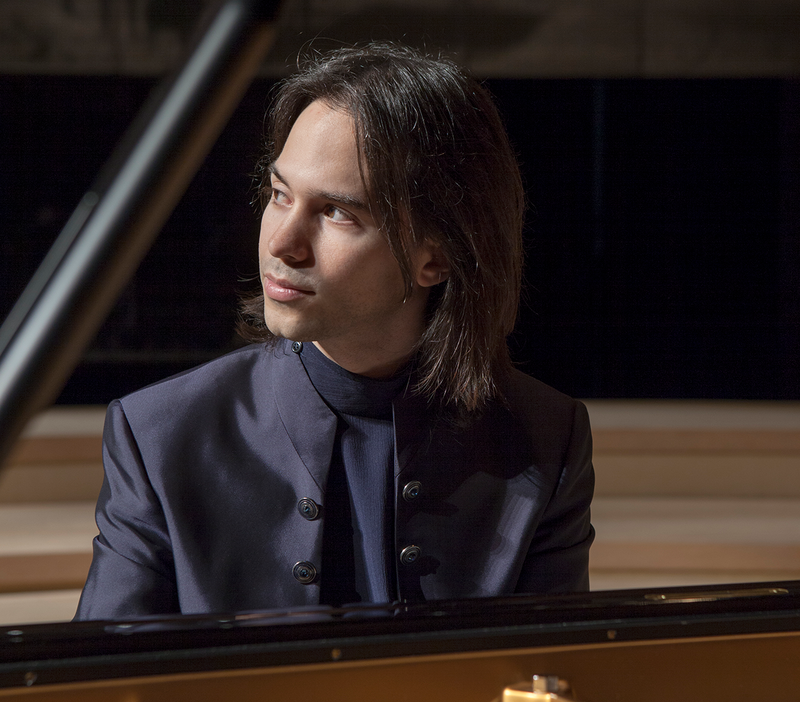 As the youngest competitor, he won the III International Piano Competition Umberto Micheli at the age of sixteen, in Teatro alla Scala in Milan (Italy), playing a diverse repertoire, including pieces from baroque to contemporary music. He was also awarded a Special Prize by the Orchestra Filarmonica della Scala, for his interpretation of Ravel´s Concerto in G Major in the final round. From this moment on, he has been invited to perform as a soloist with prestigious orchestras, as well as to offer recitals in America, Europe and Asia. He has performed in Carnegie Hall (New York), Berliner Philharmoniker (Berlin), Herkulessaal and Gasteig (Munich), Radio France (París), Wigmore Hall and St. John’s Smith Square (London), Herbert Zipper Concert Hall (Los Angeles), Jordan Hall (Boston), Accademia Nazionale di Santa Cecilia (Roma), Musikverein and Kozerthaus (Vienna), Laeiszhalle (Hamburg), Hamarikyu Asahi Hall (Tokyo), Teatro Real, Auditorio Nacional de Música (Madrid), Teatro Colón (Buenos Aires). As well, as a soloist with prestigious orchestras, including the Mozarteum Orchester Salzburg, Orquesta Sinfónica de Radio Televisión Española, London Chamber Pleyers, Orquesta Estable del Teatro Real, Orquestra Metropolitana de Lisboa, Youth Orchestra of the Americas, Orquesta Sinfónica de la Ciudad de Oviedo, Orquestra Nacional do Porto, Orquestra do Norte (Portugal), Orquesta Sinfónica Nacional (Argentina), Orquesta Filarmónica de Buenos Aires, Filarmonica della Scala di Milano (Milan), among others.